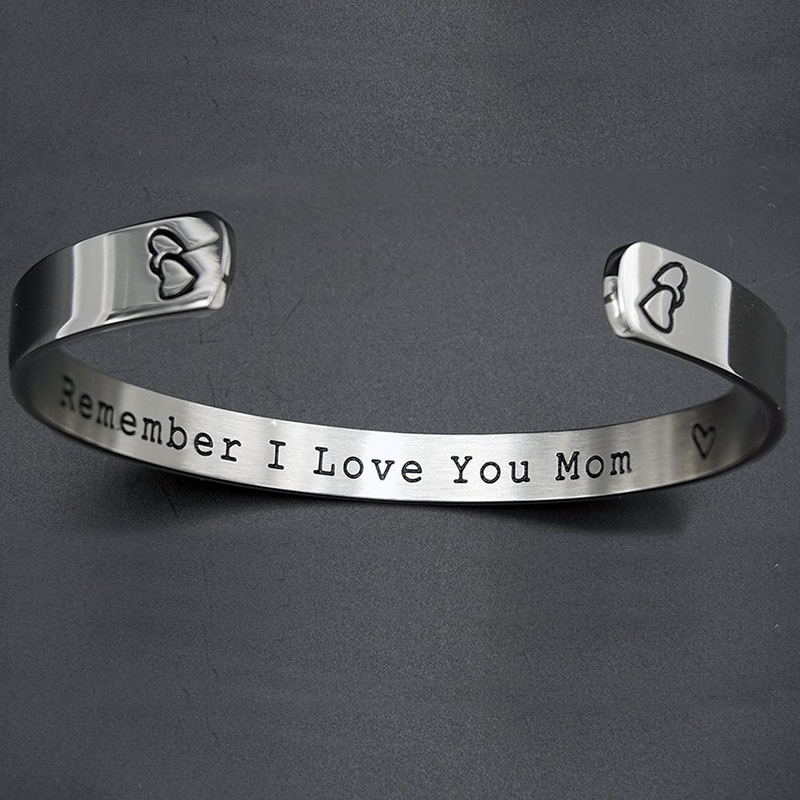 Affordable gifts your mom is sure to love, from personalized products to jewelry to hilarious cards. 1. A set of heartfelt letters you can fill out for her to read now and later. Each fill-in-the-blank message comes with a labeled enveloped that says something like, "Read me when you miss me," or "Read me when you need a good laugh." And don't worry, there's one that says "Read me when you get this," so she can enjoy one of your sweet notes write away. Get a box of eight from Amazon for $18. 2. A set of sassy socks sure to bring a smile to her face and some fun to her feet. Get a set of four from Amazon for $5.99+ (available in three styles). 3. Beautiful, opalescent studs with major sparkle and a mini price tag. 4. A LOL-worthy card that's perf if your mom is your reality TV buddy (or your momager). When it comes to Mother's Day gift giving, you're doing amazing, sweetie. 5. A pretty gift box featuring two mini Tory Burch perfumes that are as classy as your fabulous mother. 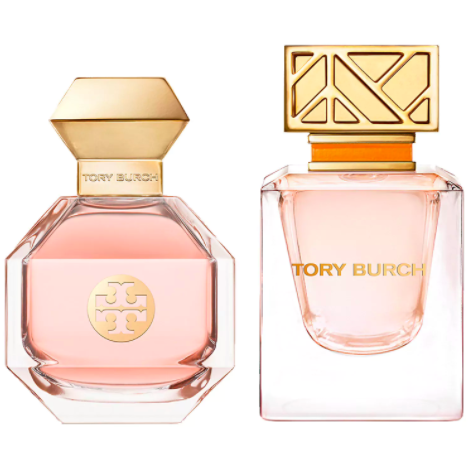 The original Tory Burch fragrance has a classic floral and citrus scent, while the Love Relentlessly perfume features notes of pink pepper, patchouli, and amber. 6. A handy mug warmer in case your mom is anything like mine and considers her morning coffee as precious as one of her children. 7. And a hilarious (and accurate) mug for her to put on it. Get it from fieldtrip on Etsy for $12.60. 8. 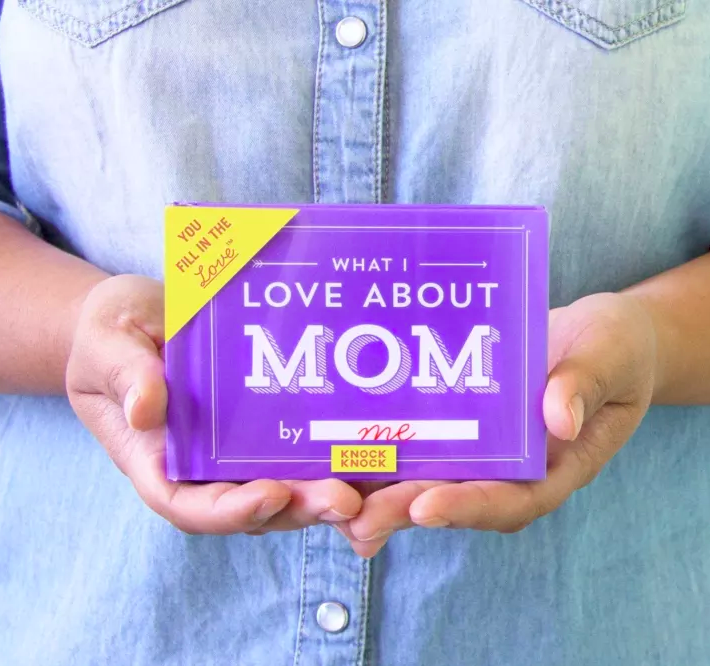 An adorable little book that asks you to respond to prompts about your wonderful mama, from favorite memories to inside jokes, to create a tome she'll treasure way more than a super-pricey gift. It includes 50 fill-in-the-blank pages with prompts from the sentimental ("I'm thankful I got your...") to the quirky ("If you were a scent, you'd be..."). 9. An enamel pin for the mom who wants to know "What's the 411, what's the cool jams?" but will then proceed to do her own thing regardless of whether it's cool or not. "Do you guys need anything? Some paleo snacks? An all-natural condom?" Get it from nicolesloan on Etsy for $11 (available in four colors). 10. 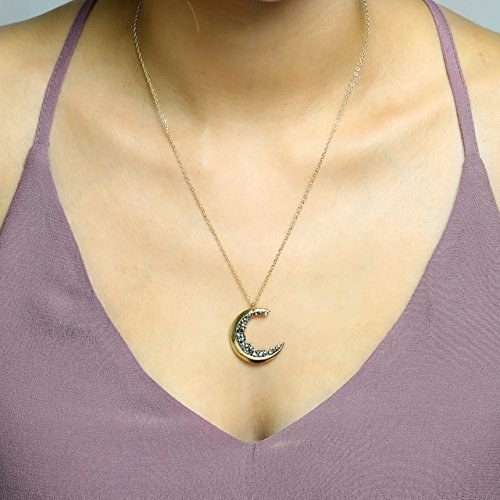 A gold-plated, crescent-shaped necklace she'll be over the moon to receive. 11. A One Line A Day journal so she can record memories in seconds. She's a busy lady, after all. This little notebook features a spot for recording one line about the day's events for every day of the year. Next to each date are five lines, so through the years she can have a fun side-by-side comparison of her experiences. Her first entry? "Got the best gift ever" on May 13, 2018. 12. A hella soft wrap that can be worn as a scarf, shawl, or poncho and will keep your mama cozy all year round. Promising review: "This super soft, beautiful shawl is an absolutely great value for the money. It is nice and long, warm and cozy, and looks fashionable all at the same time. It's the absolute right weight to wear on a chilly winter night in the house or outside in early spring. It's also something I might carry and wear in an overly air conditioned room or restaurant. I suspect I'll be buying more in the very near future. I can't say enough about how good it feels — it's light to the touch but warm when it's wrapped around you." —Deborah A. Get it from Amazon for $8.99+ (available in 11 colors). 13. A clever set of glass coasters you can fill with favorite pics. She'll love them so much, she may not even want to cover them with her cup. Plus, they'll give her the perfect excuse to brag about her wonderful children when company comes over (not that she wouldn't anyway). Promising review: "I bought these as a gift and the recipients absolutely raved about them, especially since they can change the photos whenever they want." —Jasmine T.
14. 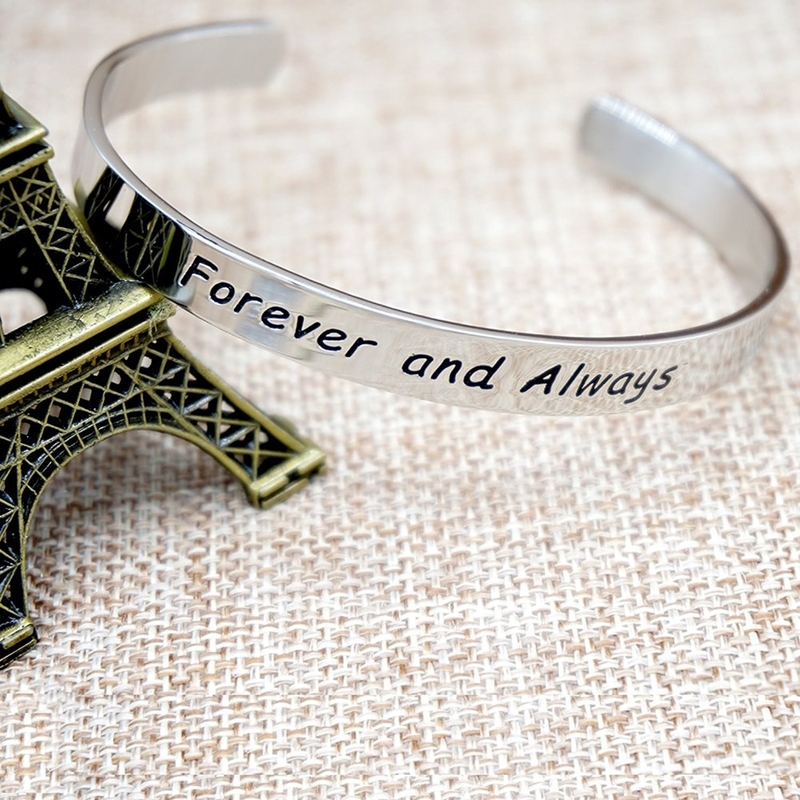 A simply elegant cuff to remind her you're always thinking about her. Get it from Amazon for $13.69+ (available in two styles). 15. A luxe-looking makeup brush set she'll never guess cost under $15. The set includes fifteen brushes: powder, bronzer, liquid foundation, flat angled foundation, flat contour, blush, blending, eyebrow, concealer, eyelash, small shader, eyeliner, eyeshadow, and two eye smudge brushes. Get them from Amazon for $13.98. 16. 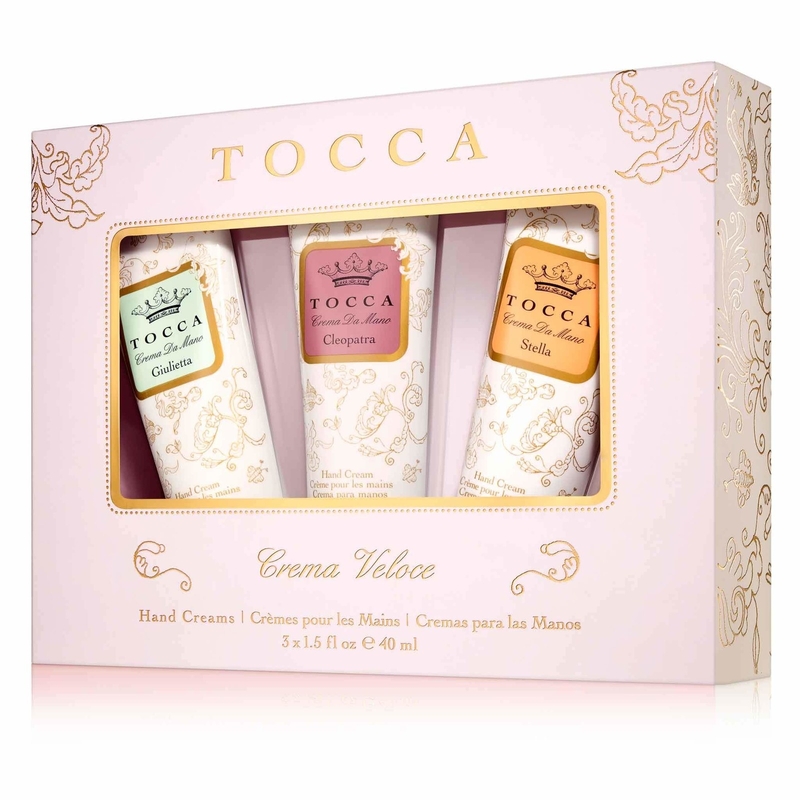 A set of fancy scented hand creams that's only fitting, considering your mom is the one who gave you all your good scents. Time to return the favor. The set includes shea butter lotions in three yummy aromas: cucumber and grapefruit, blood orange, and green apple and floral. 17. An ornate picture frame for a gift that's both personal and polished — just add a great photo of the two of you! Get it from Target for $14.99. 18. An adorable jewelry organizer that'll eliminate the bird-en of tangled necklaces and missing earrings. Get it from Amazon for $14.99 or Overstock for $17.79. 19. 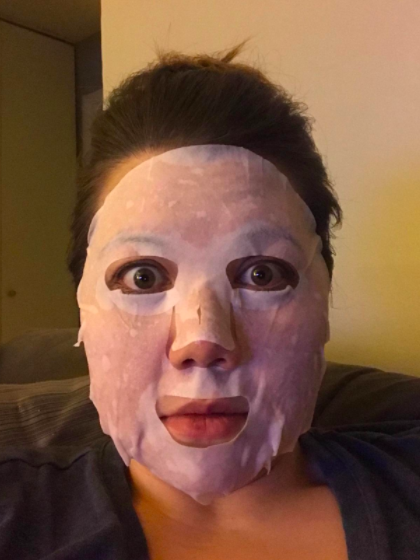 A hydrating sheet mask set so she can give herself the pampering she deserves. 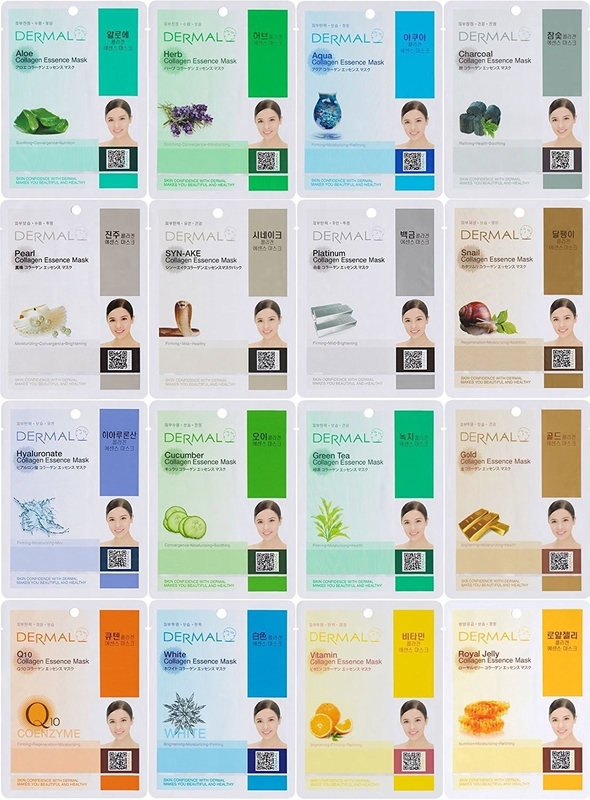 Over 2,000 Amazon reviewers swear by these masks, which come in an assortment of varieties like cucumber, green tea, and gold. Each one contains vitamin E and collagen that'll leave your ma's face feeling fresh and glowy. Get a set of 16 from Amazon for $8.49+ (available in two combinations). 20. An eco-friendly candle set in a repurposed wine bottle, because wine not? These spirit-ed candles burn for eighty hours and are available in chardonnay, champagne, and cabernet varieties. Get it from Uncommon Goods for $24 (available in three scents), or get a similar candle in a Merlot scent from Amazon for $15.89. 21. A sleek zippered carryall for toting all of her mom necessities in style. She's always prepared with lip balm, bandages, hand sanitizer, and even snacks, so her mom-mergency kit totally deserves a chic vessel. Get it from Boohoo for $23 (available in two colors). 22. A gorgeous jewelry box to letter know how much you care. Get it from Anthropologie for $14 (available in 26 letters and an ampersand). 23. A foot massage roller so she can take a load off at the end of a busy day. After all, being a mom is no easy feet. Each side has rollers in two different textures for a spa-level experience while she's just chilling on the couch. It also comes with instructions and tips on reflexology so she can relax to the max. 24. 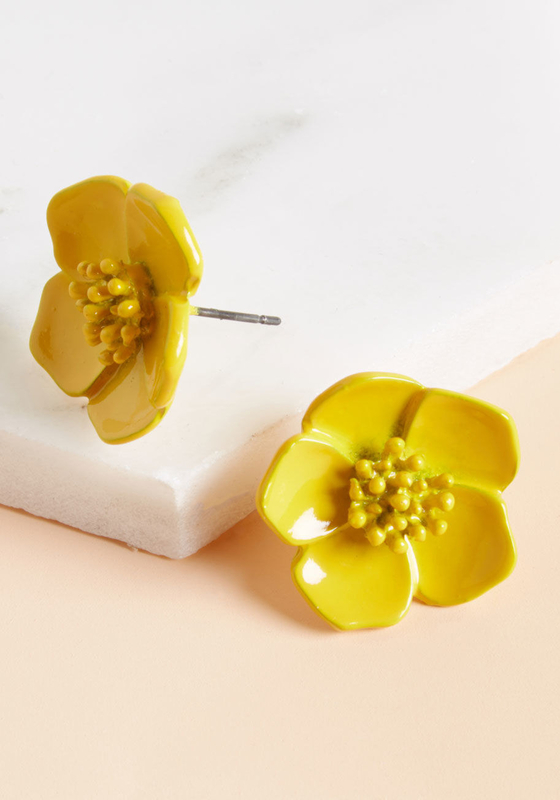 Bright floral studs for a mom who's no wallflower. 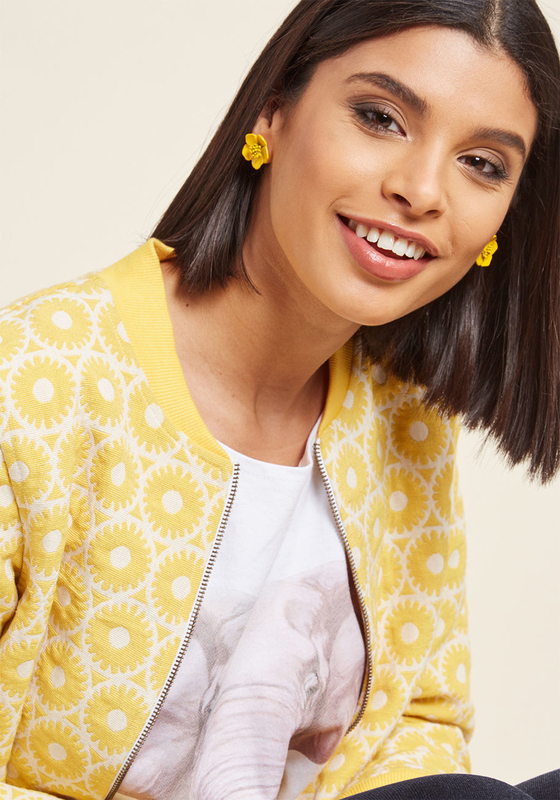 Get them from Modcloth for $12 (available in two colors). 25. A sweet little messenger bird containing a personalized note that'll definitely have her all in a twitter. This cute bluebird comes perched on a nest and in a box that says "A little birdy told me," and holds your note under her wing. It's way more special than a basic card, but just as easy. Get it from1800Flowers for $19.99. 26. Comfy plant-printed PJs for any mom who's almost as good at raising a garden as she is at raising kids. Get them from Target for $24.99 (available in sizes XS-XXL). 27. Talking as Fast as I Can, a collection of essays by Lauren Graham, aka the ultimate TV mom. It's sure to bring back memories of curling up together and watching Gilmore Girls or Parenthood. Get it from Amazon for $9.90+. 28. 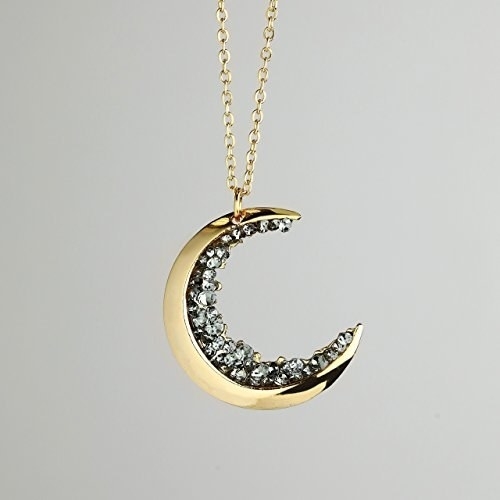 And a meaningful charm necklace for the Lorelai to your Rory. You may need to apologize in advance for getting the Gilmore Girls theme song permanently stuck in her head, but I'm sure she won't mind. Get it from MyInitialCharm on Etsy for $20.99 (available in three chain lengths and with any initial).